Strain the grated potato and onion in a colander over the sink, then squeeze out as much liquid as possible. In a large bowl, mix together the egg, 1 teaspoon salt, pepper to taste, and herbs. Working in batches, heat 2 tablespoons oil in a nonstick skillet over medium-high heat. When the oil is hot but not smoking, gently drop 2-tablespoon mounds of potato mixture into the skillet, pressing gently to flatten. Fry the latkes until crispy, about 3 minutes per side. Drain on paper towels and keep warm in the oven. 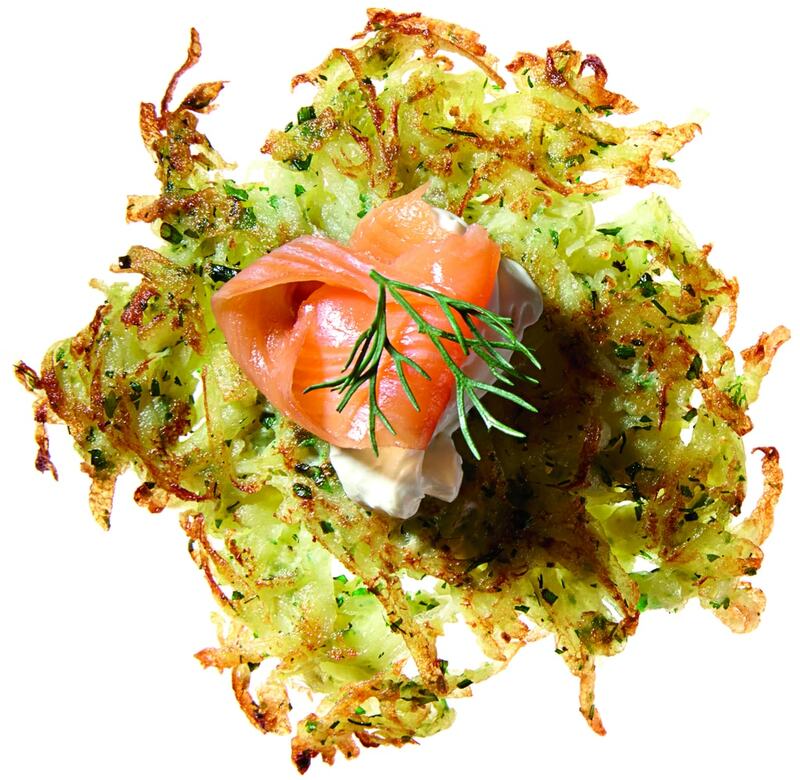 Garnish with smoked salmon, sour cream, and a sprig of dill. Serve.